Alarmed by the use of hard-to-track prepaid cell phones by terror suspects, New York Sen. Chuck Schumer and Texas Sen. John Cornyn have introduced legislation requiring consumers to produce identification before buying such phones. The bill has been praised by law enforcement and has bipartisan support, even as civil liberties groups have raised privacy concerns and some terror experts say it won't deter bad behavior. Prepaid phones can be a lifeline for people with limited incomes or poor credit, allowing them to purchase a device and a limited amount of calling time without committing to a costly contract. Phone companies sold $16 billion worth of prepaid cell phones last year, and the devices are hugely popular in both the U.S. and countries around the world. 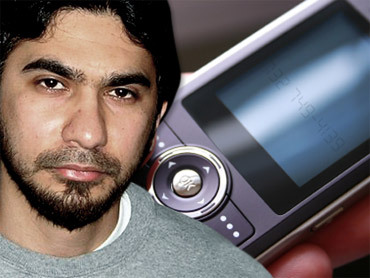 In recent years, such phones also have been linked to suspected terror activity - including that by Faisal Shahzad, the Pakistani-American accused of plotting to bomb Times Square. Law enforcement officials said Shahzad had used a prepaid cell phone to purchase a car in which to hide the bomb and to communicate with co-conspirators in Pakistan. "The Supreme Court has always upheld the principle that you have the right to speak anonymously - that the decision to identify yourself as a speaker is an aspect of speech itself," said Lee Tien, a senior staff attorney with the Electronic Frontier Foundation. "For a variety of reasons, this doesn't sound like a 'get off the ground' kind of idea," he said. "We are living in a time when unfortunately our public safety requires small gives by everyone," Verizon spokesman Jeffrey Nelson said. "The bottom line is the terrorists, whether they're the Pakistani Taliban or whether they're closely aligned with al Qaeda, use technology to their advantage," Cloonan said. "They try to stay ahead of us and we're always playing catch up."